Ticket to the UK record release party for the “Heading For Tomorrow”. 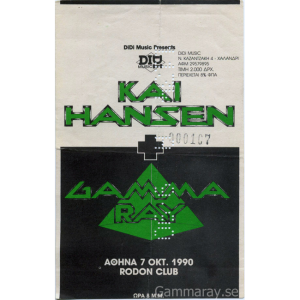 KAI HANSEN (Gamma Ray) 6″ x 4″ official invite to the UK record release party for the “Heading For Tomorrow” album held March 27th 1990. 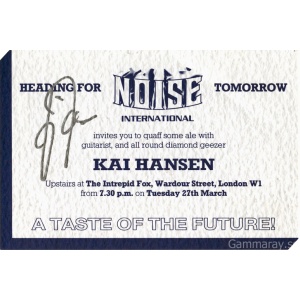 This is the original invite professionally printed on textured card signed by Kai. 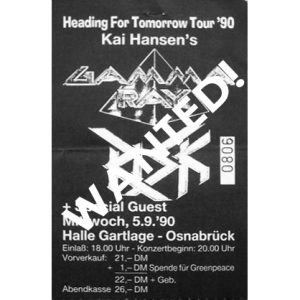 WANTED: Heading For Tomorrow Ticket – 5/9 – 1990. 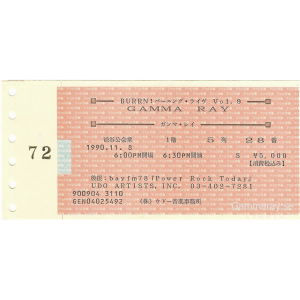 Ticket – Tokyo Japan – 08-11-1990. 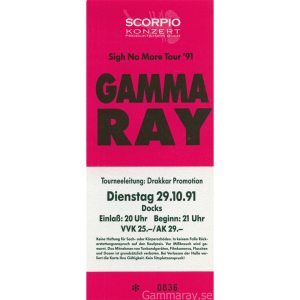 Gamma Ray Ticket – Hamburg, 29-10-1991. 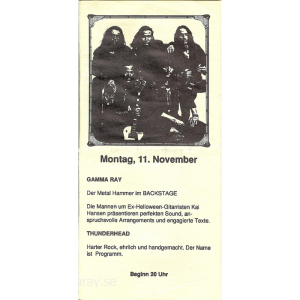 Gamma Ray Ticket – Berlin, 06-11-1991. 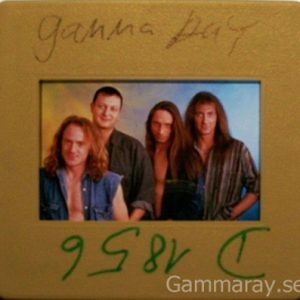 Gamma Ray – Special Guest: Thunderhead – Signed by Ralf Scheepers on the back. 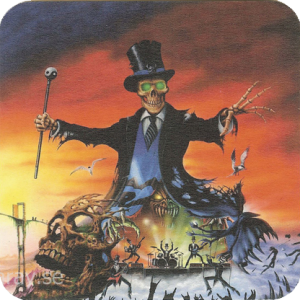 Ticket – “Melodic Metal Strikes Back! 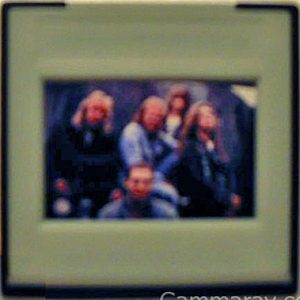 !” 1993. 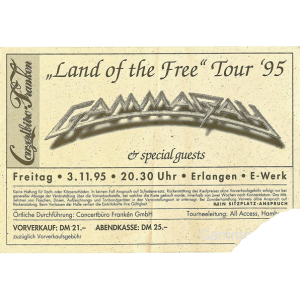 Land Of The Free Tour 03-11-95 – Ticket. 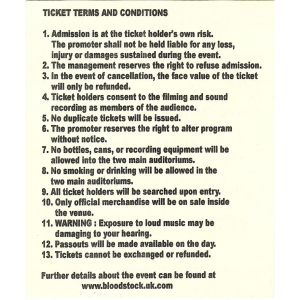 WANTED: Ticket From 3/10 – 1996. 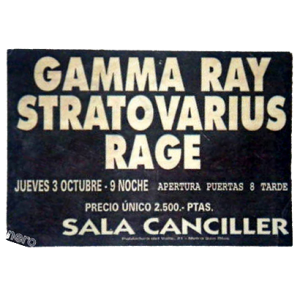 Madrid, Spain – 3/10 – 1996. 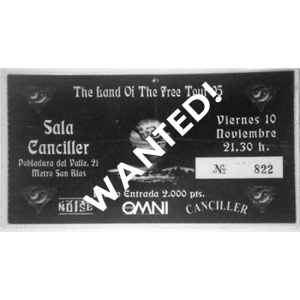 WANTED: The Land Of The Free Tour 95 – Ticket. 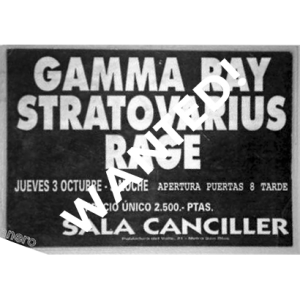 Madrid, Spain – 10/11 – 1995. 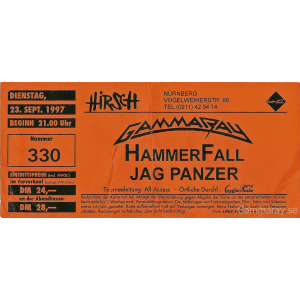 Ticket – 23 Sept 1997. 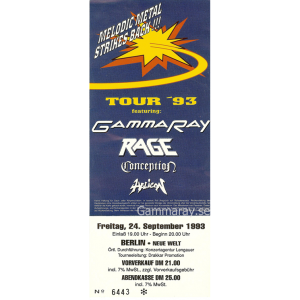 Ticket – 12 May 1998 – Motala Sweden. 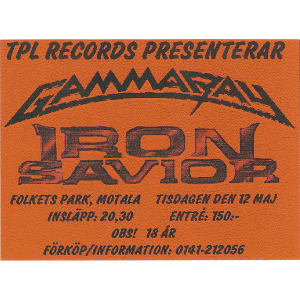 TPL Records Present Gamma Ray & Iron Savior 12 May 1998 Motala, Sweden. 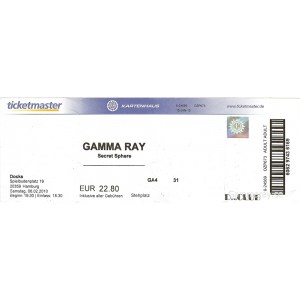 Ticket – 15. 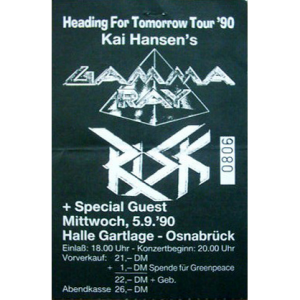 April 99, Halle. 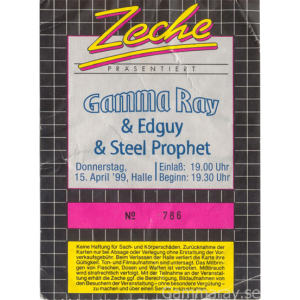 Gamma Ray, Edguy & Steel Prophet. 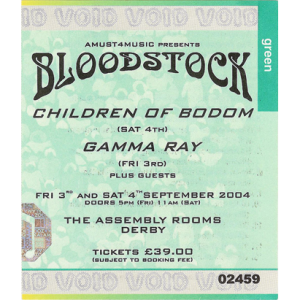 Ticket – Bloodstock – UK – 3-4 September 2004. 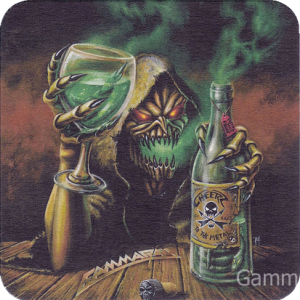 Children Of Bodom & Gamma Ray. 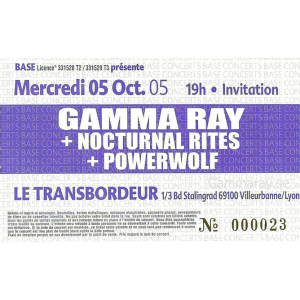 Ticket – Lyon – 5 Oct 2005. Ticket – “To The Metal” Tour – Docks Hamburg 15 Jan 2010. 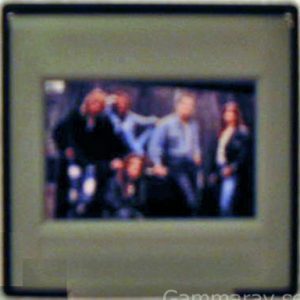 Ticket – Winter Masters of Rock – 2011-11-26 – Czech Republic. 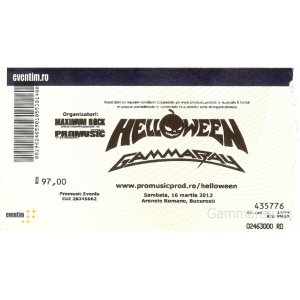 Ticket – “Hellish Rock Part II” – Romania – 13 Mars 2013. Land Of The Free Part II – Beer Mat. 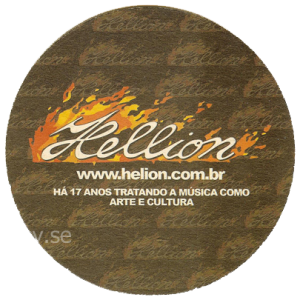 From Land Of The Free II – Limited First Edition Cd – Brazil edition. 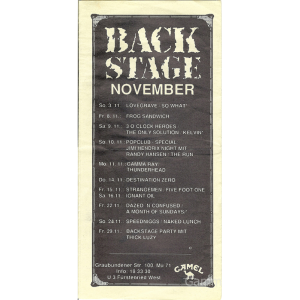 2 Beer Mats – Best Of The Best – Party Tour 2015. 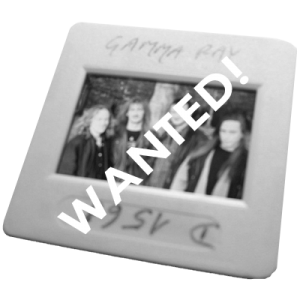 WANTED: Promo Slide – 1996. 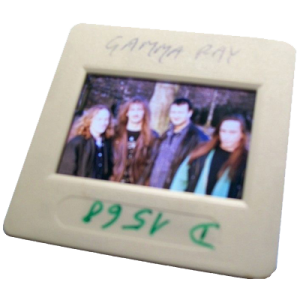 Slide From Somewhere Out In Space -era. 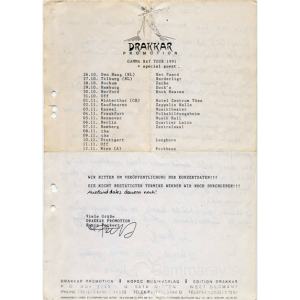 Copy Of Tour Dates 90. 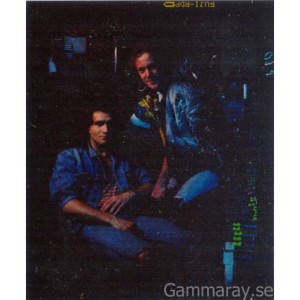 Tourdates Gamma Ray – 2/9-13/11 – 1990. 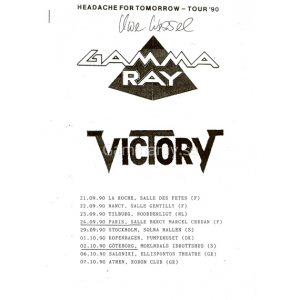 Headache For Tomorrow – Tour 90. 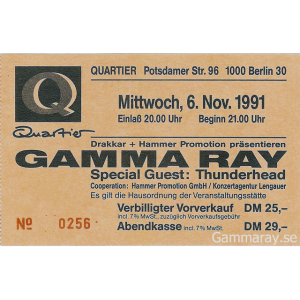 Tourdates Gamma Ray – 21/9-7/10 – 1990. 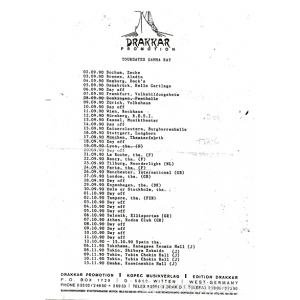 Tour Plan – 91 – Drakkar Promotion Fax. 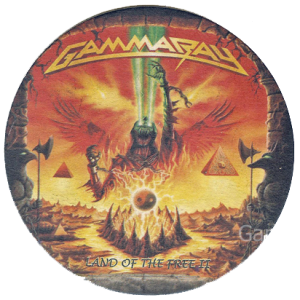 Tourdates Gamma Ray – 26/10-12/11 – 1991. 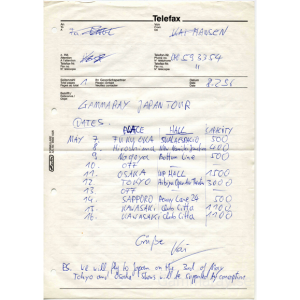 Tour Plan For Sigh No More Tour -91. Handwritten Fax By Kai About The Japan Tour-91. 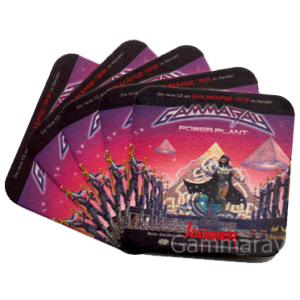 Gamma Ray Japan Tour 1991 – 7-16 May. 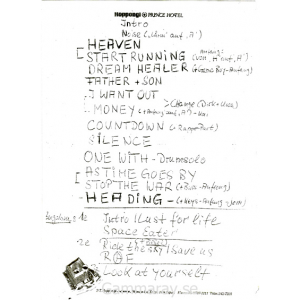 Copy Of The Original Set-list From Japan 1991. 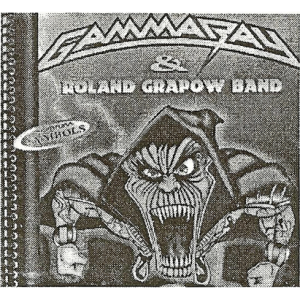 Gamma Ray Japan Tour 1991. 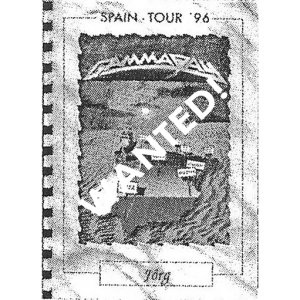 WANTED: Tourrider Spain – Tour 1996. 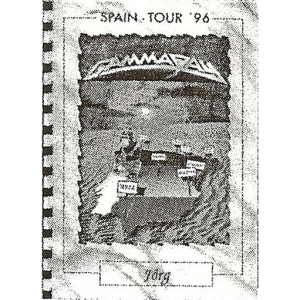 PowerPlant 1999 European Tour Book. 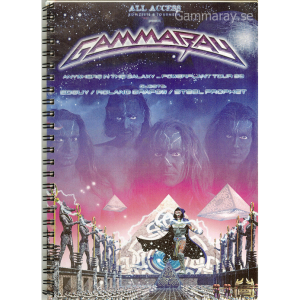 Anywhere in the Galaxy PowerPlant Tour 99 – Guests Edguy/Roland Grapow/Steel Prophet. 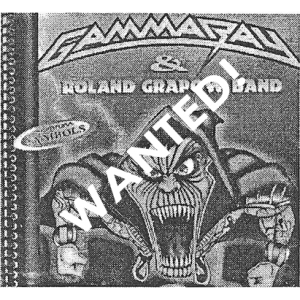 WANTED: Tourrider South American – Tour 1999. 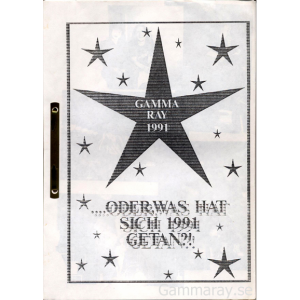 Gamma Ray Flag From The First Japan Tour 1990. 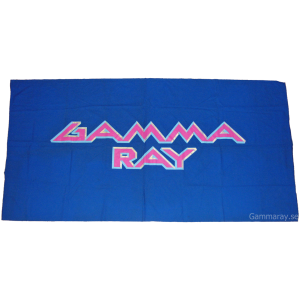 Gamma Ray flag from the first tour of Japan 1990, with the original Gamma Ray logo. Height: 177 cm X 90 cm. 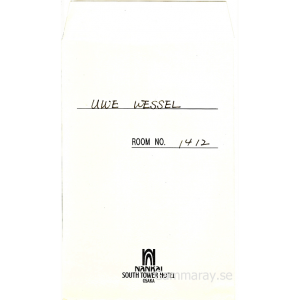 Uwe Wessels Hotel Key Holder – Osaka, Japan. 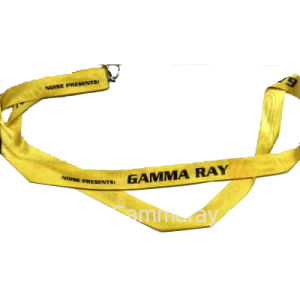 Gamma Ray Promo Key Lanyard. 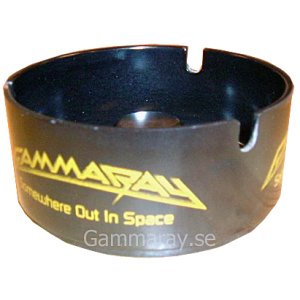 Ashtray – Promo From The Somewhere Out In Space Release.